Liquid product based on peracetic acid (5%), hydrogen peroxide and acetic acid. decomposition of peracetic acid less effective. 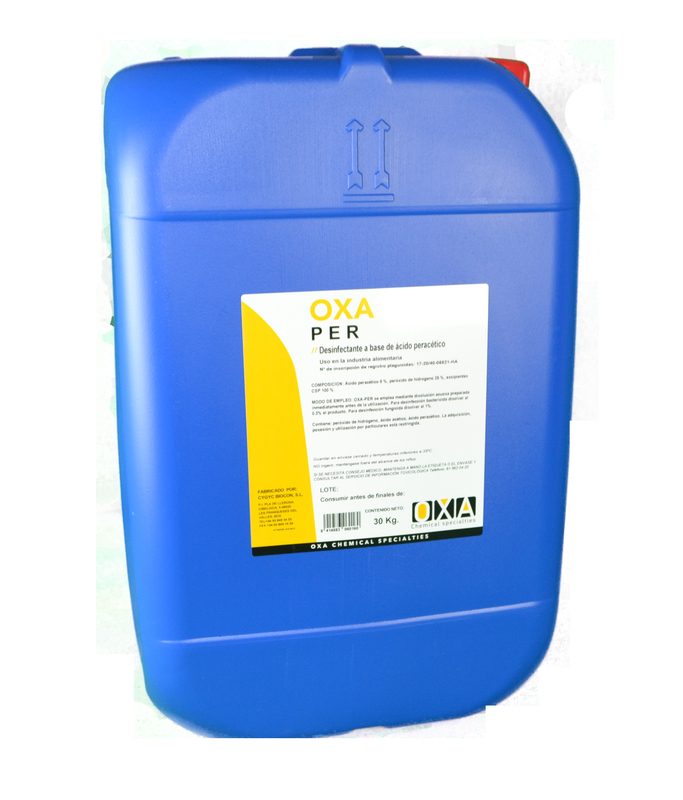 OXA - PER is compatiblle with acidic solutions (OXA-101 4C).